When you choose Ninja Locksmiths to handle your commercial locksmith and security needs, you know you are getting customized services that are tailored to meet the needs of your commercial building. We know that no business is the same and some business owners are looking for different security solutions than others. Our trusted locksmith experts have the training and experience needed to make your business as safe as possible using only the highest quality locking technologies. 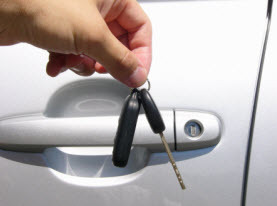 It can be helpful to have a master key made for your commercial business. It simplifies your business to have a key that can unlock a number of doors. At Ninja Locksmiths, we can help you find the one solution to your commercial key system with our master keying services. When you have a master key, you don’t have to worry about replacing keys or making multiple copies of several keys. If you have an apartment building or classrooms that you are looking for high security but still want to be able to control key copies, I/C core keying will give you just that. 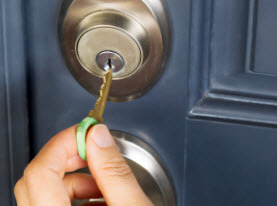 Our trusted locksmiths will give you non-duplicate keys for your commercial property. This is just another level of the peace of mind you need when you’re running a successful business. The doors to your business are essential to the security of your building. You want nothing short of quality doors as well as locks that cover the entrances and exits of the building. At Ninja Locksmiths, we believe that only the highest quality door services are the key to keeping your building locked and secure. If you need to have steel doors and frames installed in your commercial building, you can count on us to deliver superior door upgrade services. Here are some of the door services we offer our valued customers. Many commercial buildings are fully loaded with file cabinets and desk that come equipped with locks. When the keys to any of these important storage options it can affect the production of your company. 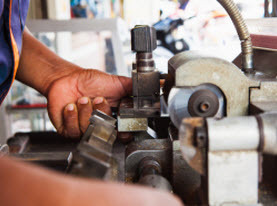 We can repair any broken locks to ensure your personal documents are kept private and secure. We can also help you gain access into a locked file cabinet that is unable to open due to lost keys or jammed locks. Let the experts at Ninja Locksmiths help you keep your commercial building secure. Your building’s security is our top priority. It doesn’t matter what level of security you are looking for to keep your building under lock and key, we can help you achieve it. We will complete the job no matter what size and scope your commercial security project may be. 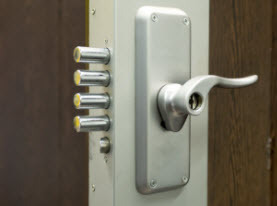 Call us today for more information about our commercial locksmith services.